Stuttgart/Paris, September 2016 . The new smart electric drive is making electric mobility more attractive than ever. This is because it combines the agility of a smart with emission-free driving – the ideal combination for urban mobility. 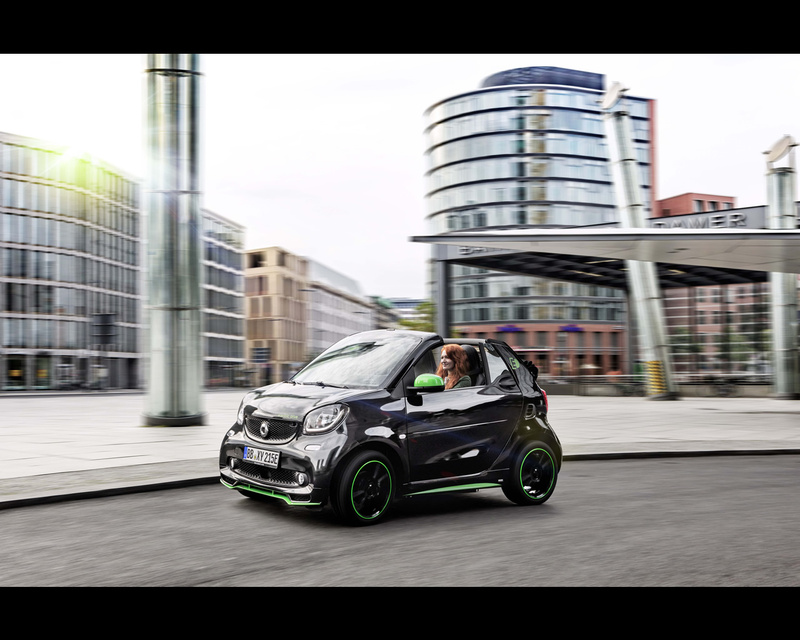 This is the fourth-generation electric smart, which is now available in all three body styles – including, for the first time, the smart forfour. This makes smart the only car manufacturer worldwide to offer its model range with both combustion engines and pure battery-electric drive. The smart electric drive will celebrate its world premiere at the Paris Motor Show (1 to 16 October 2016), while the market launch will start in the USA in December 2016 and in Europe in early 2017. "The smart is the perfect city car, and with electric drive it becomes a little bit more perfect," said Annette Winkler, Head of smart. "This is why we will soon be offering our entire range – smart fortwo, smart cabrio and even our smart forfour – as all-electric versions. 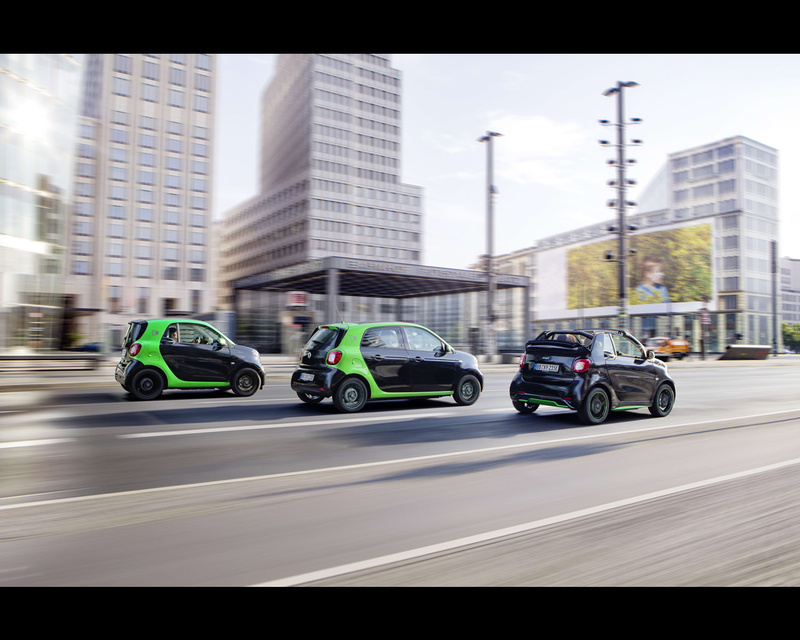 Together with lots of smart fans and enthusiastic drivers of the three predecessor generations, we are looking forward to the unique driving fun offered by the new smart electric drive. And at very attractive prices, especially in countries where there is a buyer's premium." When fully charged the battery has sufficient power to cover approximately 160 kilometres (100 miles) in accordance with the NEDC, making it ideal for urban use. 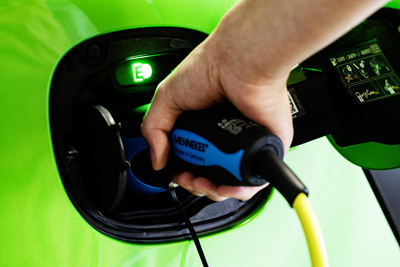 With the high-performance on-board charger the smart electric drive can be charged up to twice as quickly as before (depending on the country version and the electricity supply network). With the new fast charger (optional extra available from 2017) the vehicle can be fully charged in less than 45 minutes (depending on the country version and the electricity supply network). 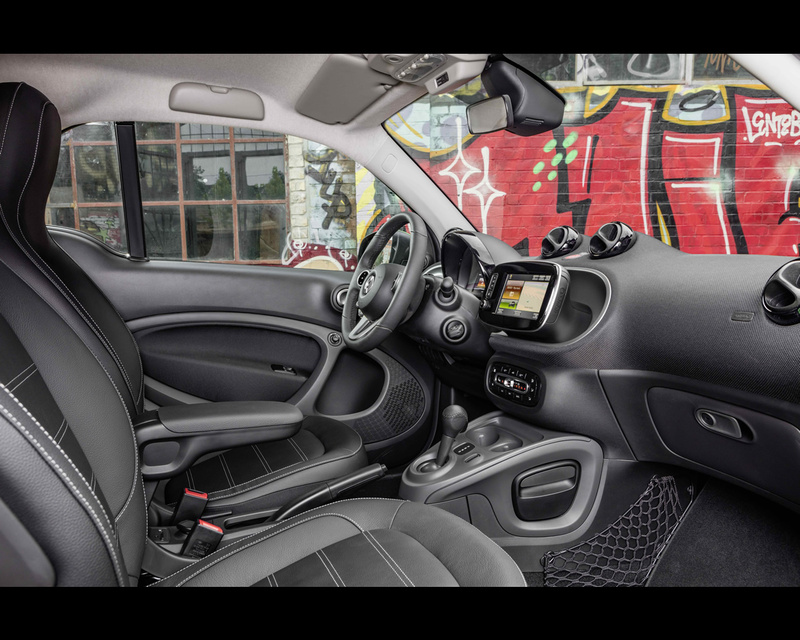 In line with the rest of the range, the smart’s driving characteristics are as agile and lively as ever. The ultra-small turning circle of 6.95 metres contributes to this. The smart electric drive will come with a wide variety of colours and optional equipment – making it easy for the customer to personalise their smart electric drive. 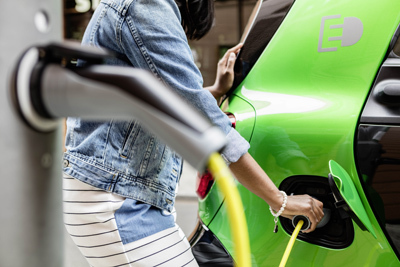 Charging time is an important factor for electric vehicle customers and the new smart electric drive boasts major improvements here. All models have a new, powerful on-board charger as standard. In the USA and Great Britain the charging time is 2.5 hours – half as long as for its predecessor. In Germany, where a different charger is needed due to single-phase alternating current, the smart electric drive can be charged 40 percent faster than before at a household socket. With the "smart control" app the charging process can be conveniently monitored remotely, the app also includes many more functions such as intelligent charging..
From 2017 a particularly powerful 22 kW fast charger will be available as an option. This enables the smart electric drive to be charged in as little as 45 minutes. 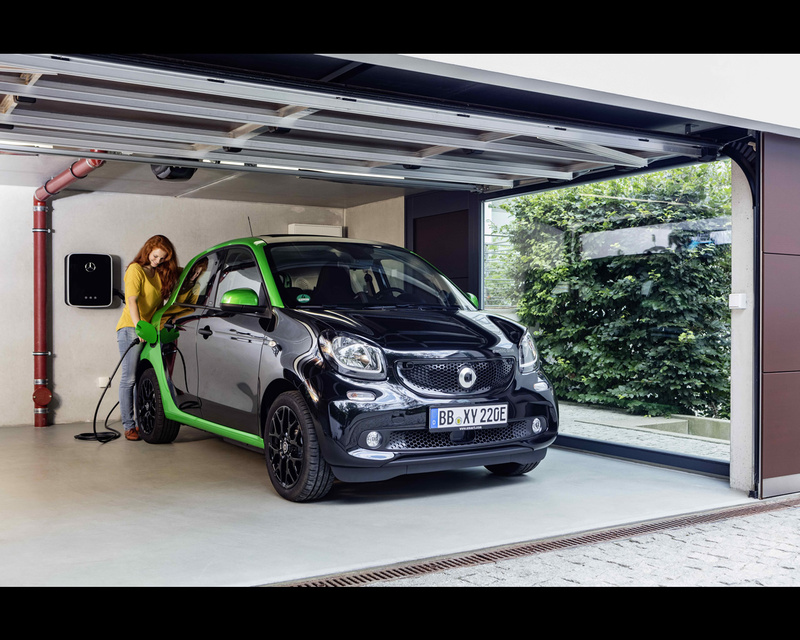 The smart fortwo electric drive models are series produced at smart's Hambach plant (France). The smart forfour electric drive is produced at the Novo Mesto site (Slovenia). 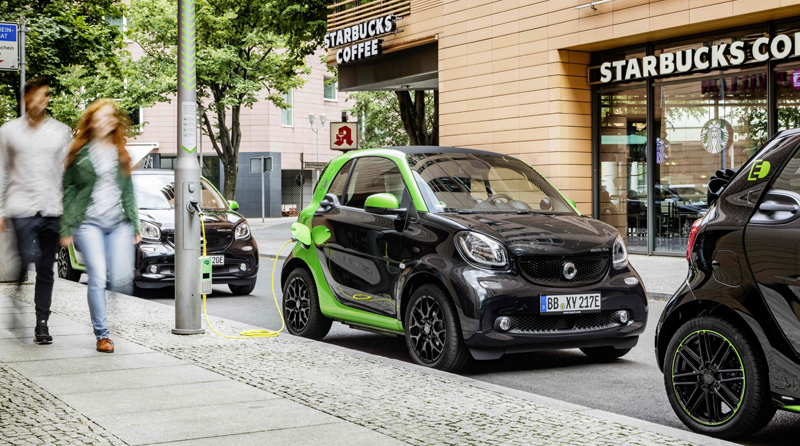 The smart is equipped with a battery from the Daimler subsidiary Deutsche ACCUMOTIVE. The company, based in Kamenz, Saxony, has been building the electric heart of the smart electric drive since 2012. A 60 kW (81 hp) electric motor works at the rear of the smart electric drive and transmits its power via a constant ratio to the wheels. Powerful torque of 160 Nm is immediately available from a standstill. The electric drive has a range of approximately 160 km (100 miles) – ideal for emission-free mobility in and around cities. The maximum speed is electronically limited to 130 km/h (80 mph) to maximise the range. Thanks to the power characteristics of the electric motor, the smart needs just one single fixed gear ratio. There is no need for any gear changing – a major advantage in dense city traffic. To reverse, the engine's direction of rotation changes. The drivetrain is produced in Renault's plant in Clèon, Northern France. 1 Recommended retail price for Germany incl. 19% VAT. As well as the basic transmission mode the driver can select ECO mode. This is designed for a particularly efficient driving style. In addition, the maximum speed is limited, the accelerator pedal curve adjusted and the maximum recuperation level is pre-selected. In overrun mode or when braking the vehicle's kinetic energy is converted into electrical energy – this is called recuperation. The radar-based recuperation, which is active in the basic transmission mode, is anticipatory. The traffic situation is monitored with a radar sensor and a recuperation level that suits the current situation is selected. 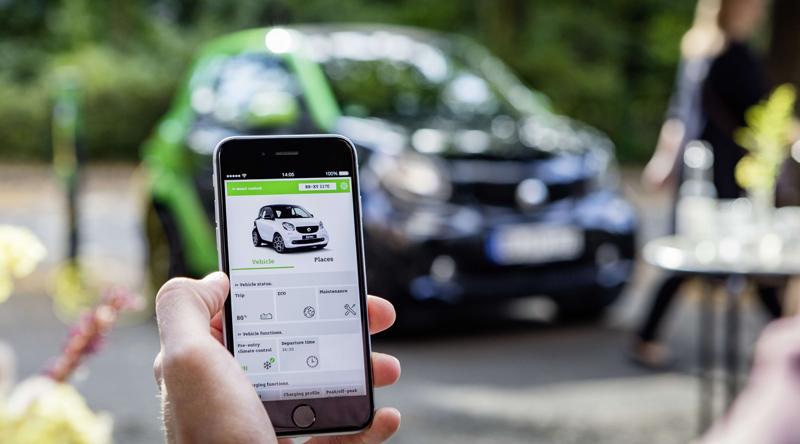 With the "smart control" app lots of electric drive information can be accessed via smartphone, tablet or PC and functions such as pre-entry climate control or intelligent charging can be conveniently controlled remotely. The new model has more operating options than its predecessor. For example, two programmable departure times mean that intelligent charging and pre-entry climate control do not always need to be re-set for frequent journeys. 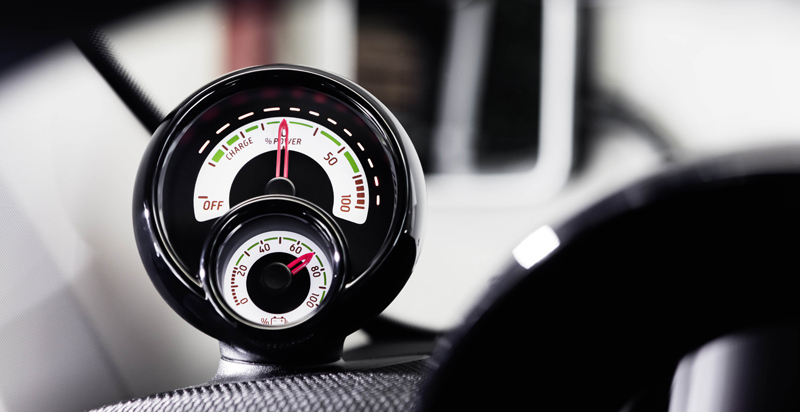 The smart electric drive models come with additional dashboard instruments which show a power meter and battery status display or, on request, the winter package with heated steering wheel (exact UK specification to be confirmed). The electric drive design package (optionally available) gives the vehicle an expressive look with tridion safety cell and door mirror caps painted in exclusive electric green. 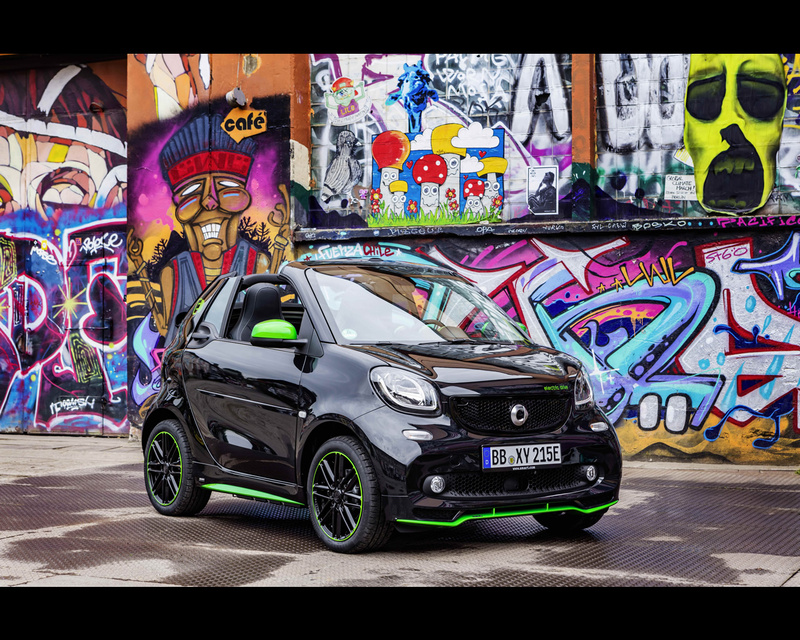 And every wish can be catered for when it comes to colours and optional equipment as the smart BRABUS tailor made individualisation programme is also available for the smart fortwo electric drive. 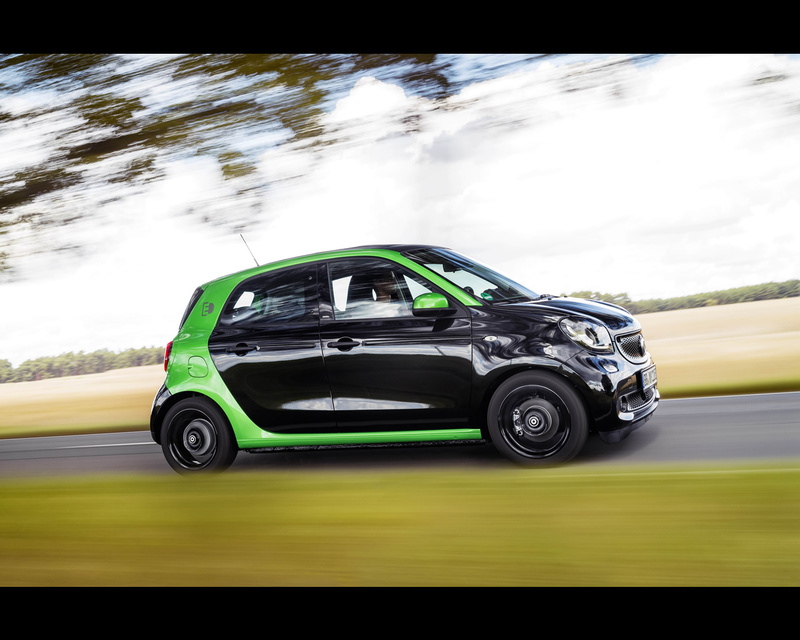 With eye-catching design details in electric green the special model smart electric drive greenflash is an exciting highlight for the market launch. This special smart electric drive will be available as a coupé and a cabrio with prices starting from €27,839 (incl. environmental bonus: €23,459) . 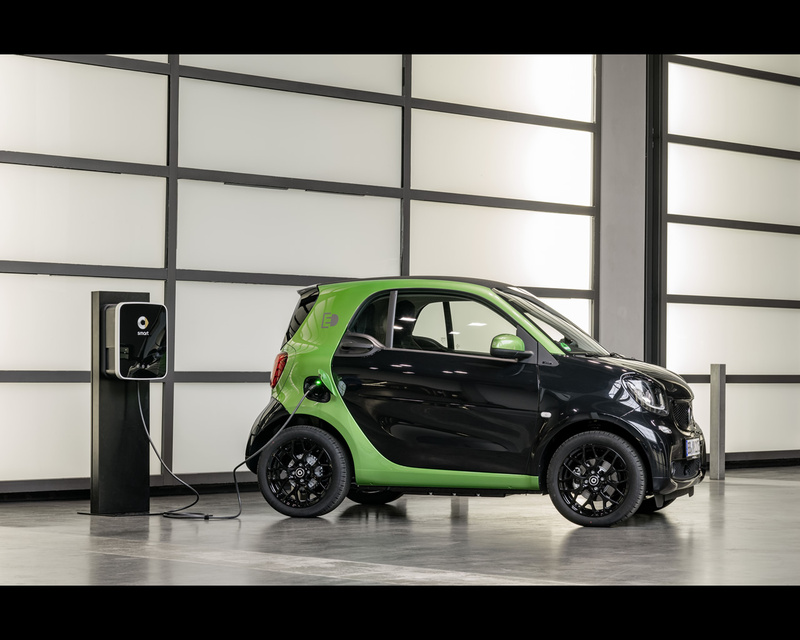 After the world premiere in Paris, the new smart fortwo electric drive will be launched in the USA before the end of the year, where around 25 percent of all smarts sold had the battery-electric drive. This will be followed by market launch in Europe in early 2017. 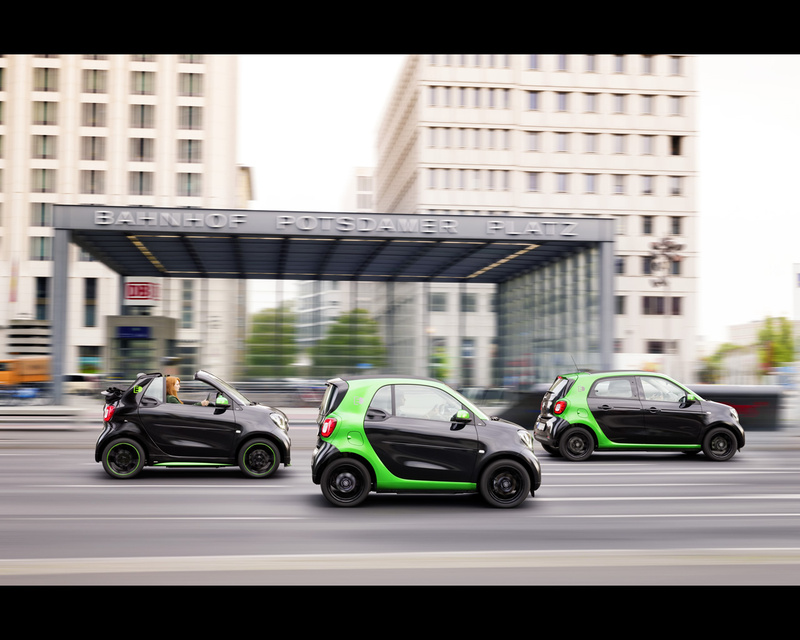 With the start of the first electrically driven test fleet in 2007 in London, smart also took on a pioneering role in the field of electric mobility when 100 smart fortwo electric drives took to the roads of the British capital – with great success. As early as 2009 smart launched the second generation of the smart fortwo electric drive, with the model being introduced in 18 markets. The objective was to gather as much experience as possible about how customers use and charge electric vehicles. The huge demand exceeded all expectations. 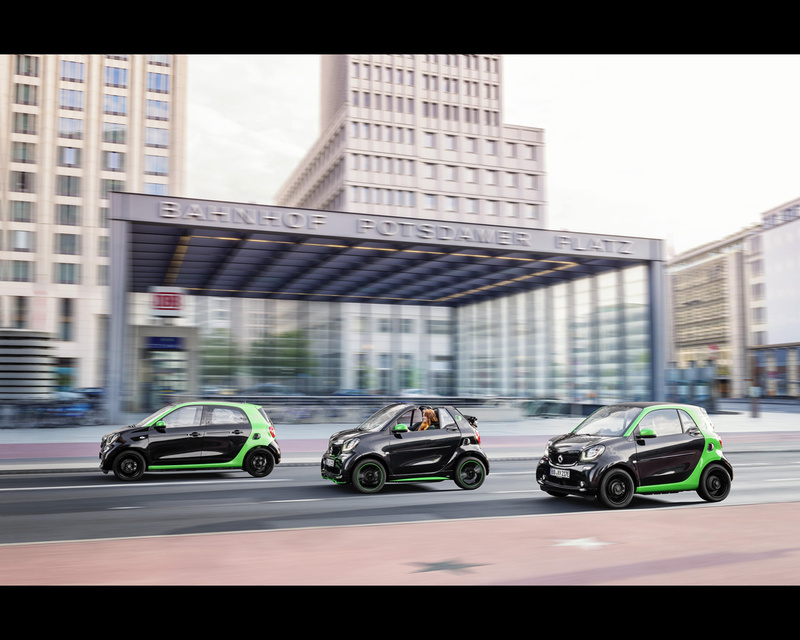 Instead of the planned 1000 vehicles more than 2000 smart fortwo electric drives were produced in Hambach. From June 2012 the third generation of the smart fortwo electric drive also succeeded in winning wide-ranging buyers for its innovative and forward-looking drive concept. Moreover, in 2013 the smart fortwo was the first all-electric vehicle from a European importer in China. 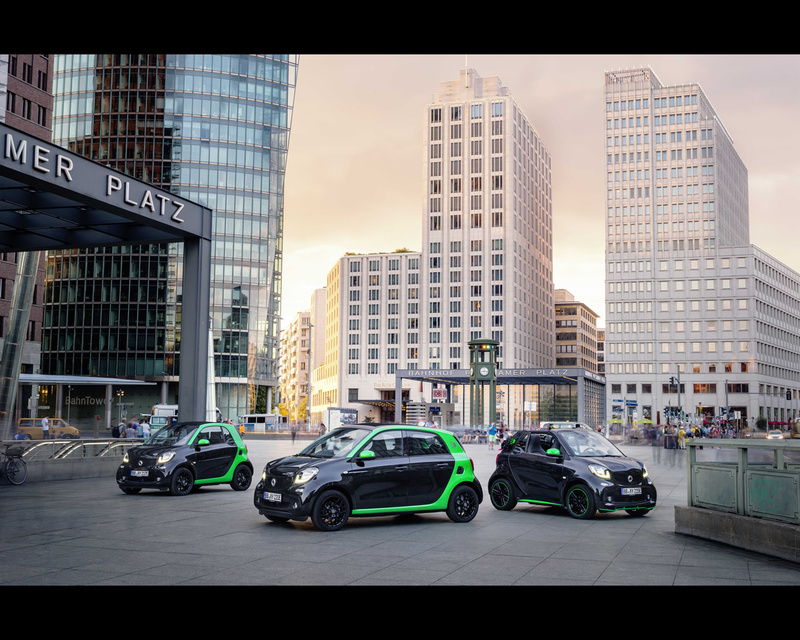 In Germany, the electric smart established itself as the market leader among battery-electric vehicles within a very short space of time with a market share of around 40 percent and was able to maintain this position for three years in a row. The smart electric drive also contributed to the success of the brand as part of the car2go fleet with 1400 cars in three cities. As car2go vehicles alone, the smart electric drive has covered more than 35 million km in demanding everyday use since the launch.